How Many Mattress Sizes are There? Over 100 years ago, in 1910, the average American got just over nine hours of sleep per night. Today that average has dropped to just under seven hours of sleep per night. Why is this important? Because we have a life expectancy of 79 years, sleeping seven hours per night means you spend just over 23 years of your entire life in bed. If you don’t think having the right mattress matters, you may want to think again. While mattress vendors will tout about their benefits and magic numbers, the most often overlooked aspect of a mattress is the size. The mattress size guide will explain all of the available mattress sizes, how they correlate to you and when you should upgrade (or downgrade) to a better size for your needs. Because of variants in locations and the way people reuse and recycle materials, there are over 20 different known mattress sizes. However, not all of them are for sale. For example, there is a growing interest in the custom mattress building community where you can specify the exact size you want your bed to be. However, these sizes are not standard, and we will ignore them for this guide. There are, of course, variations, especially in the King size mattresses. If you look hard enough, you will find such known sizes as Split King, Head Split King, Split Queen, Queen XL, Full XXL, etc. The list can literally go on forever. We will also ignore these variances. Because bedding needs to fit, you will have to special order for these variances, and we will exempt them from this discussion. Let’s take a look at all of the standard sizes and what they are expected to be used for and in what size rooms. The obvious first size mattress for any newborn is the crib. The standard crib mattress is very small, as you can imagine. The measurements are 27 inches wide by 52 inches long. According to the American Academy of Pediatrics, babies should be moved into a crib at either two years of age or when they reach 35 inches in length. You should note that this requirement is a “which comes first” and not an either or. The AAP also recommends that the mattress be firm as possible. Babies don’t have the motor skills or strength to lift their faces out of a soft mattress. If they end up rolling over on to their stomachs while they sleep, the mattress should remain taut and firm to prevent their faces from sinking in. The next step up is a Twin mattress. It is also known as a Single. The mattress is designed for one person and measures 38 inches wide by 75 inches long. Once the toddler has outgrown the crib mattress, a Twin is the next logical step. However, if the child is slightly older and can be trusted to get in and out of bed on their own, a Full size may be used instead. The choice here depends on the amount of room for the bed and how long the parents want the child to remain in the same sized bed. Because a Full size can hold most teenagers, it is often used instead of a twin mattress simply because the child won’t soon outgrow it. The Twin XL is also a popular choice for a follow up to the crib. The XL stands for “extra-long,” and measures 38 inches wide by 80 inches long. The only difference between a Twin and a Twin XL is the five added inches in length. While there isn’t any added room to move along the width of the bed, a lot of parents choose this option for their children’s first “real” bed because it allows them to have room for their feet at the end. When measured out, a Twin XL is longer than a full-size mattress and about equal to most queen and king sizes. When considering the Twin XL over the Twin, you should account for this extra space, along with space for the headboard and footboard (if any) in the bedroom. 80 inches, or six feet, will take up a lot of room, regardless of how wide it is. If the child’s bedroom is smaller, say an 8×10 foot room, or smaller, a Twin size bed may allow more room to maneuver in the space. The Full-size mattress, also known as a Double is designed for two people. The measurements are 54 inches wide by 75 inches long. This is the same length as the Twin mattress but is 16 inches wider. If two adults are sharing a Full-size mattress, they should consider upgrading. To put it in perspective, the mattress allows for each person to have 27 inches of space. If you remember, that is the same amount of space as the crib mattress (27 inches). So if your husband is refusing to upgrade the mattress, just remind him he is currently sleeping in a crib. Because of the added width, the bed will also need to be measured to fit in the room. Most bedrooms of the 10×10 or 12×10 size will accommodate a Full-size mattress without any problems. Though, if there are multiple nightstands, there may need to be some adjustments made to positioning. The Full XL, like the Twin, is longer but not wider. The same length (five inches) is added to the Full to make the measurements 54 inches by 80 inches. The Full XL doesn’t add any width which makes it still a difficult mattress for two people. While some do use it as a bed for two, the space left for sleep becomes uncomfortable. For a single person or even a child, a Full XL works well. In fact, a lot of homes are ditching the Twin sizes altogether and going straight from crib size to a Full. If this is something, you are considering, especially if the child is still a smaller toddler, you may want to invest in bed rails to prevent the child from moving too much or too far. The Queen mattress is the most common and most popular mattress size available. 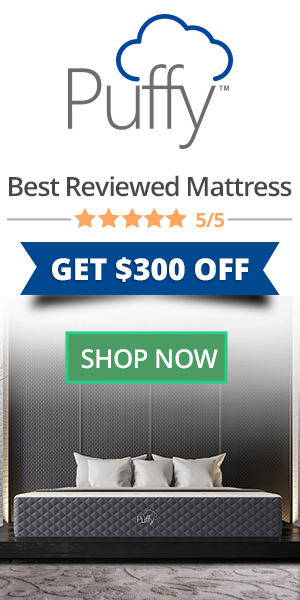 It outsells all other mattress sizes easily and constantly. The measurements of a Queen mattress are 60 inches wide by 80 inches long. There are variations, as we talked about earlier, but the width of the Queen mattress stays the same. Just like the Full and Twin mattresses and variation of the Queen results in added length. For most people the 80 inches in length is enough. If you are well over six feet tall, though, you may disagree. The Queen mattress is the go-to size for couples sleeping together. It allows them more room than the Full. However, it is interesting to note that while there is more room per person in a Queen over a Full, it is still less room than each person sleeping in a Twin by themselves. The added width isn’t lost on most couples, but 30 inches each works well for most with plenty of room to adjust, move and roll without disrupting the sleep of their partner. At least not too much. The King mattress is the best option for couples. It has enough width to accommodate most two-person sleeping habits and still have room left over. The dimensions of the King mattress are 76 inches wide and 80 inches long. If you split the space that gives each person about 38 inches, which is the same as having a Twin mattress to yourself. While you don’t normally compare a King to a Twin, knowing the dimensions puts it into a different perspective. While you could put two Twin mattresses together and have the same amount of room, with a King size, you don’t have the ridge in the middle, which can upset a lot of couples that like to snuggle together. One of the biggest problems with the King size mattress is getting if from the store into the bedroom. The Split King answered this problem by having the box spring cut in half and the mattress itself the full width. Because the mattress is more flexible, it is easier than a box spring to move through the house and around corners. Before purchasing a King (or larger), you should measure your space and the path from the door to the bedroom (including door widths and heights), to ensure you can get the larger bed in. Named after the largest state on the West Coast, the California King is the most popular large mattress in the Western United States. When considering a California King over a standard King, you will gain four inches in length. However, you should keep in mind that you will also lose four inches in width. The measurements for the California King mattress are 72 inches wide by 84 inches long. This is a good mattress for longer bedrooms that need to have some space taken up. They are also easier to get into the bedroom from the front door because of the narrower frame. You still need to measure and plan the route before bringing the mattress home. If you have double night stands, the California King mattress will have a slightly better aesthetic as well. One thing you should also consider is the bedding and linens. Standard King size linens will not fit a California mattress. So, if you are upgrading from a standard to a California, you will need all new bedding as well. The mattress is named for the largest state in the union: Alaska. It is the largest King-sized bed in the standard size charts (there are larger if you are interested, but it begins to get ridiculous at some point). While a lot of people are enamored by the large bed, bringing a desire to have one in their own home, there is a lot of planning if you want to add one to your bedroom. The mattress alone is nine feet square. That’s larger than most standard bedrooms can handle. When you add in the frame, headboard and footboard, you have a bed that extends almost 10 feet in any direction. If you have a large master bedroom, like to co-sleep with the children or want as much personal space as you can get from your partner, the Alaska King could be your answer. Otherwise, we suggest separate sleeping rooms. As with the California King, you will need the proper linens and bedding to go with the bed. You will also need to make sure that your hallway and doorways will allow the bed to pass through. Just as an example, the standard front door is 36 inches wide and 80 inches tall. This is still about four feet (not inches, but feet) too short. With a bed measuring 108 inches square, getting git into the bedroom is one of the largest challenges. Now that you know the mattress sizes and names, you can better select the perfect fit for you. If you are a single person or need a bed for a growing child, a Twin or Full size could be your best option. While saving money, they also take up less space in the room. For couples, the most common size is the Queen. However, if this is not enough personal space for you, there are larger options. The King and California King are the other most popular couple sized mattresses. As long as you can get them into the bedroom, you shouldn’t have much of a problem. Why Do I Fall Asleep After Eating? Why Am I Waking Up With A Fast Heart Rate?